Local Space is a young organisation at only 11 years old in 2017. However, it is a dynamic and growing organisation using its financial strength and partnership working to provide homes for those in greatest need. We have a unique business plan predicated on partnership, using our resources as well as we can and working in partnership to be as efficient as possible. We embrace innovation and know that in this fast moving world we need to keep pace with new ideas to thrive. In 2015 we agreed an ambitious growth plan to increase the number of homes we own by a further 800. To support this we entered into new loan agreements with our funders. Our partnership model and our willingness to collaborate, shows a mature approach to providing accommodation in a challenging economic world. This Corporate Plan 2017/20 outlines our plans for the next 3 years and how we are supporting the various areas of our business to make this a success. 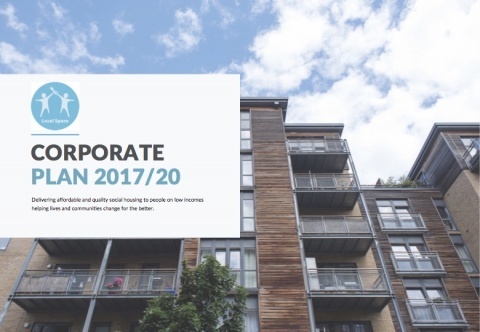 0 Comments on "Corporate Plan 2017/20 published"